Information to be provided by the Parish / Town Council. Please click on the arrows to the left of each section for more information. Click on the pop out section on the right to access the form and submit the information. You can open and close the form whilst you are working on it without losing data. Please supply us with your basic information, including full name of council, address, postcode and telephone number. Please supply us with your logo (if available). If you don’t have a logo, we can create one for you. The logo should preferably be horizontal and no less than 500 pixels. Please supply us with up to three background images for your website. Images should be good quality and around 2000 pixels wide with clear content at the top of the image (not sky etc.). We can crop images if needed. Please supply us with your required menu structure. 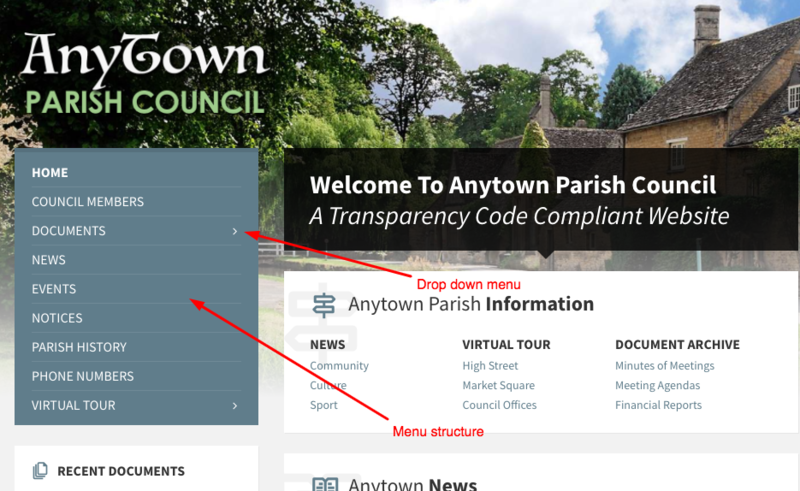 This will be based on the existing structure on your development website but we will need to know any additional menu items (pages) required and in what order you would like them. You can supply the menu structure in a Word document (or similar) or simply an hand sketch if preferred. The official address to be used. Please supply us with up to four virtual tour locations (if required). Simply let us know the postcode of the relevant locations. You can omit this section if you do not want to use this feature. Please supply us with any preferred colour scheme if you require a different scheme to the default settings. Only two colour combinations can be used (see adjacent image for example of primary and secondary colour). Please make sure the colour is dark enough for text to be visible above it. If your website and email hosting is with us (NetWise), please supply us with a list of emails you would like us to setup. 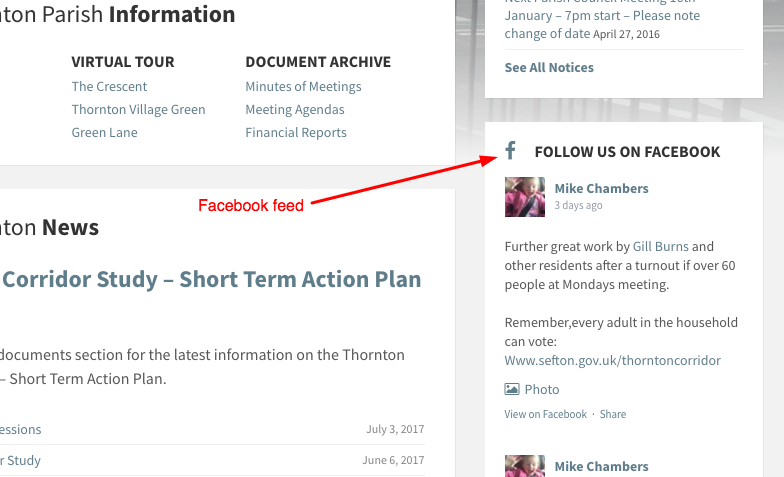 Also, please confirm if you would like the profiles to be displayed as a feed (see attached image), or as links from the icons in the footer. Please complete this form as fully as possible. Please do not clear cache or history before you have sent the form. Please upload up to three images, preferably around 2000px wide each. Please upload your menu structure document or image. Please enter up to four locations for your virtual tour. Street name and postcode are required. Please enter your required emails in the format yourname@yourdomain.co.uk. The number of emails you can have is dependant on which package you have chosen. See price list on our website for more information.